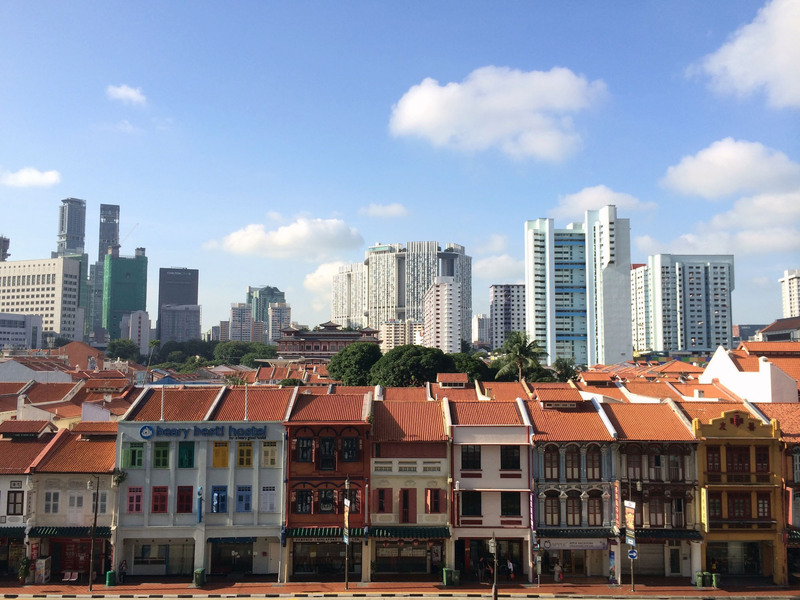 Nestled in between the multi-coloured shophouses along Upper Cross Street and the towering Park Royal @ Pickering on another, the relatively muted white and blue façade (recently painted green) of Hong Lim Complex & Apartments is an eclectic mix of shophouses, HDB apartments and hawker stalls. 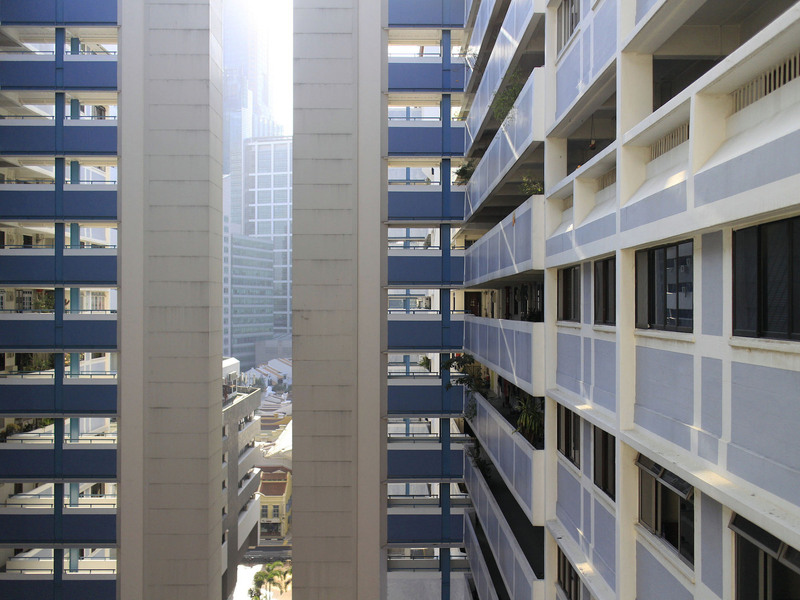 While the ground floor and adjoining Hong Lim Market & Food Centre are often bustling with activity during the day, the HDB blocks sitting just five floors above sit resolutely silent with bedroom city-views of the city that are constantly changing. 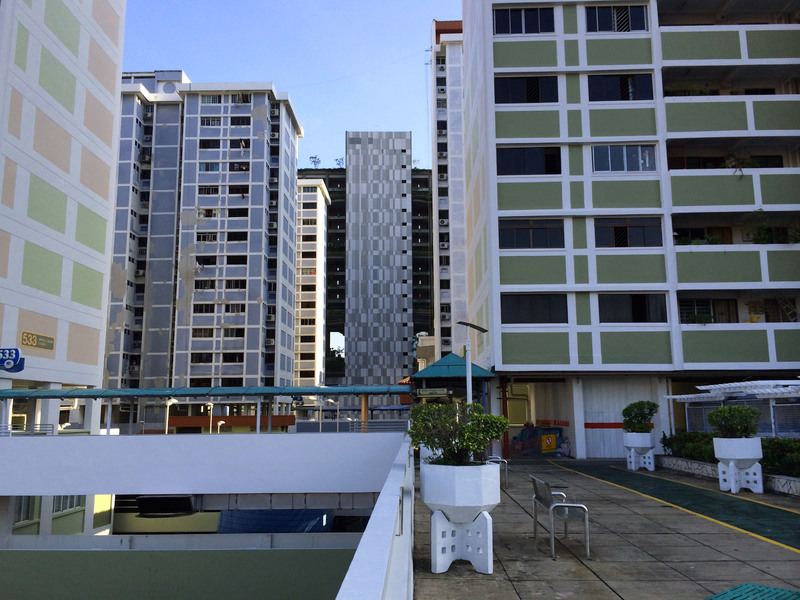 From between the blocks, one can spot the Pinnacle@Duxton in the background. 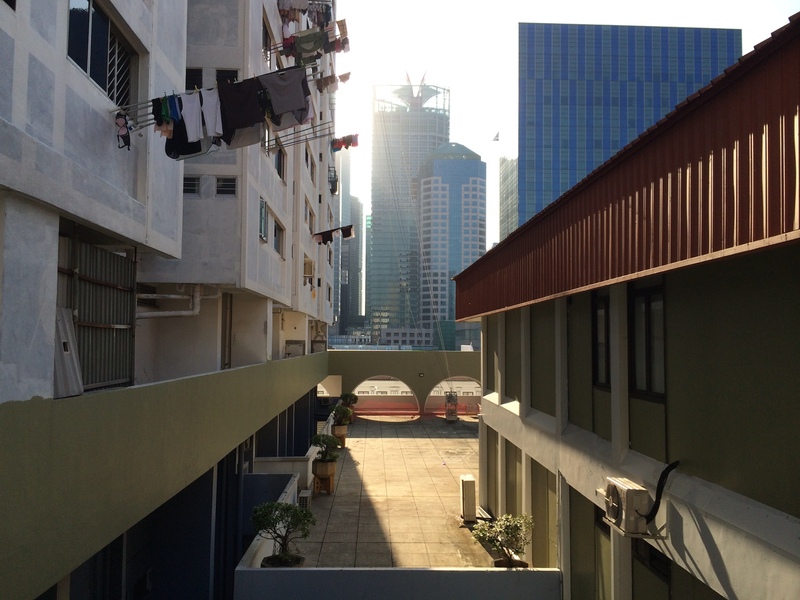 Like the nearby People’s Park Complex, the void deck here begins at the 5th floor, providing a vantage point for some of the oldest shophouses in Singapore along Upper Cross Street that house an array of establishments from hostels to hawkers. 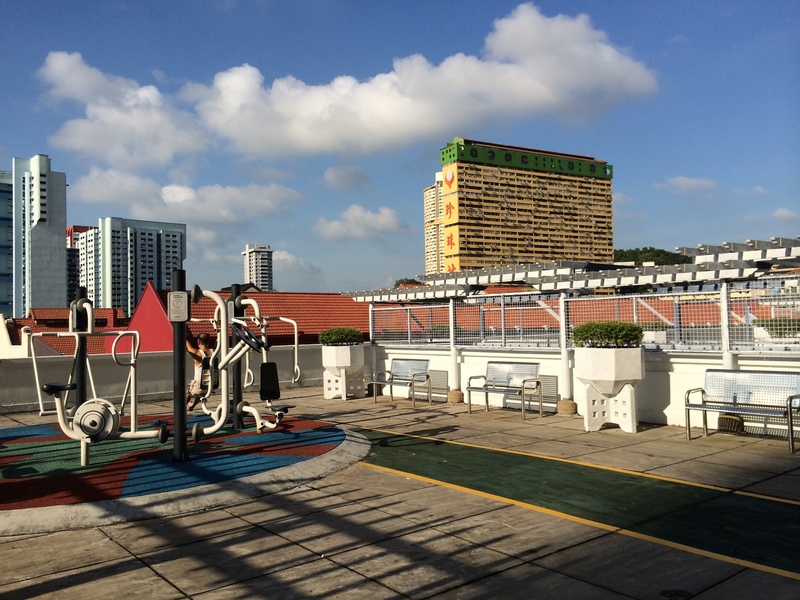 Amenities like exercise stations, resident committee centres and even the carpark are also located from the 5th floor and above, each providing an interesting perspective to examine the flow of life that is unique to Chinatown. 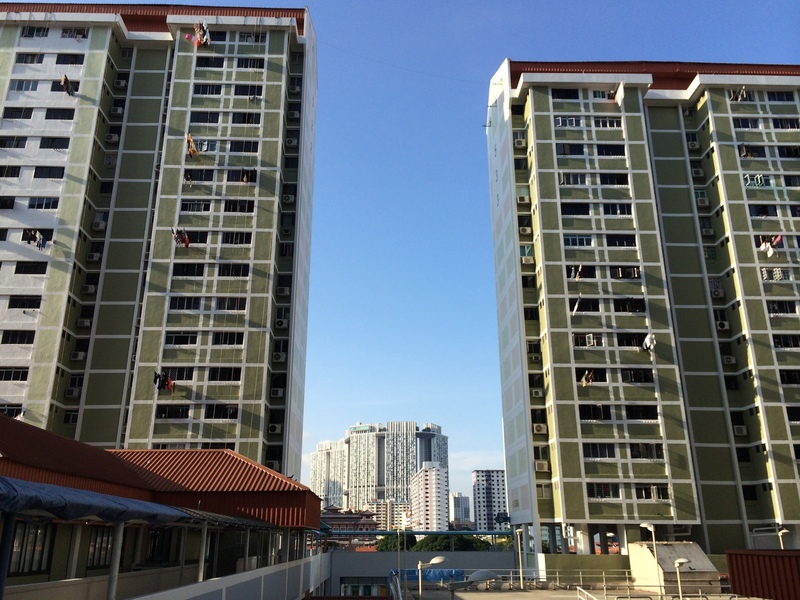 The apartments of course are built on a site that was once the screening centre for victims of the Sook Ching Massacre during the Japanese Occutation, yet the story of that and what goes on in the remaining parts of Hong Lim Complex is a feature that deserves a post on its own.